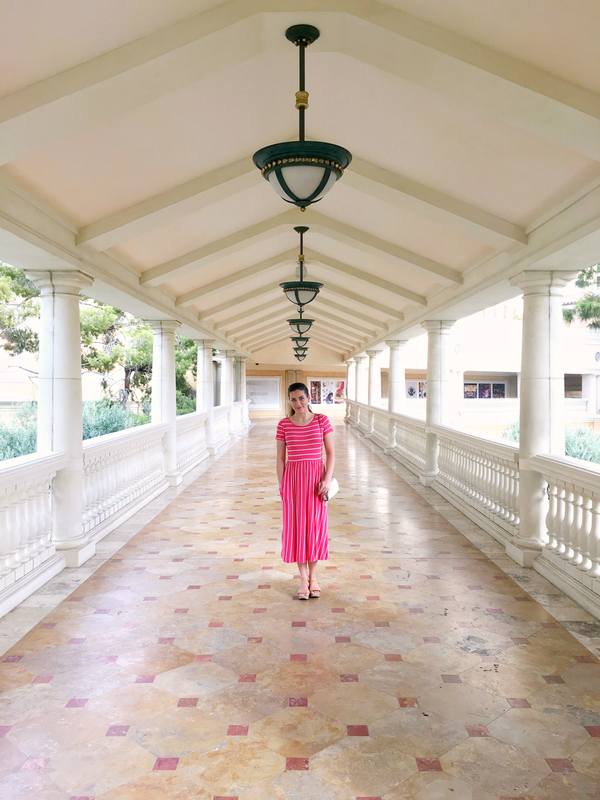 I spent the first week in August in Vegas with my husband, kid free!! It was a really big deal. We attended the Mike Ferry Superstar Retreat at the Bellagio on the Las Vegas Strip. It was incredibly hot and surprisingly humid. This modest dress from Cleo Madison could not have been a more perfect choice for the climate. It's incredibly soft, breezy, flattering, and it has pockets!! It's this girl's perfect recipe for everything a dress should be. Cleo Madison has so many modest dress options it was difficult for me to pick just one!! They also have tops, skirts and swimwear that are darling! I'm so grateful there are people like Liz out there who decide to make stylish modest clothing more accessible. I'm so inspired by all of the women in my life who see a hole that needs to be filled and decide to do something about it. I know it's been forever since I've posted something, but I've got several posts I'm working on to start posting more regularly again. Thanks for sticking around guys. I promise I'll be more consistent for you!! Outfit details are linked at the bottom of this post.